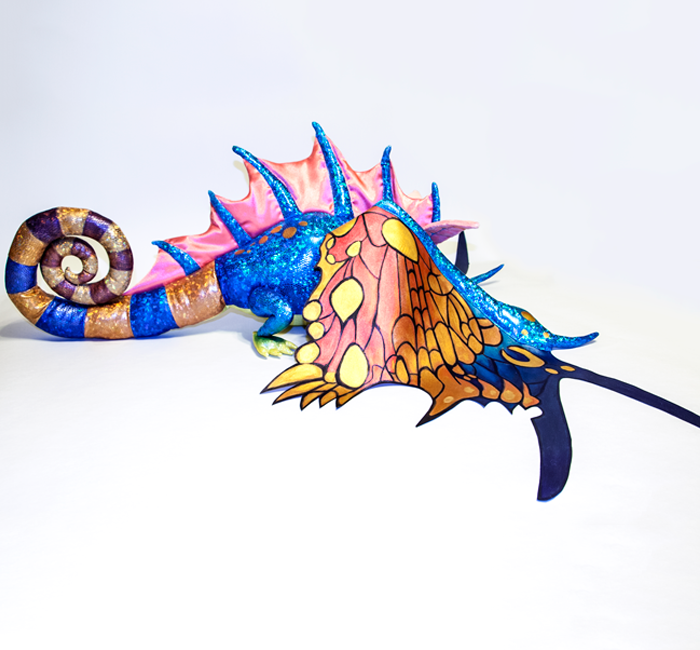 Materials: Spandex, scale fabric, satin, fabric paint, minky, clay sculpted eyes. 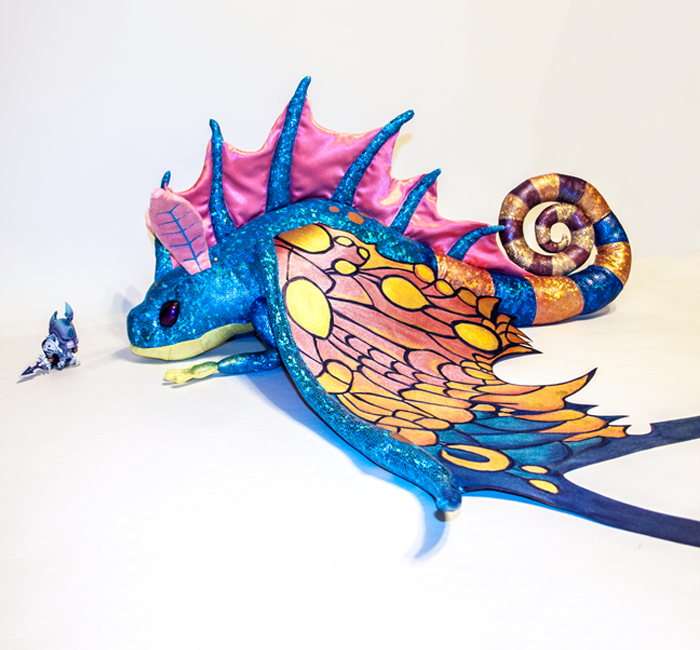 A VERY large sprite darter plushie, made after the playful, colorful faerie dragons from World of Warcraft. 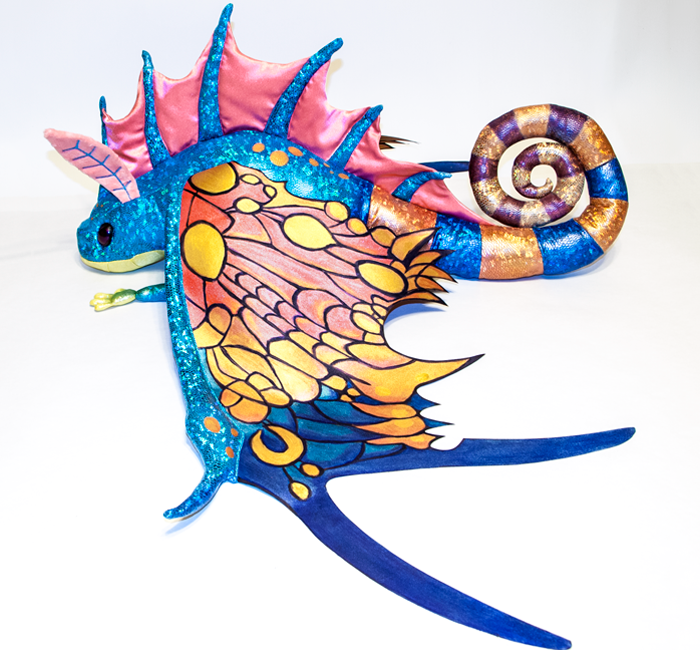 The plushie is made from sparkly spandex and shiny scale fabric, hand painted with washes of fabric paint for the subtle color shifts and shading. 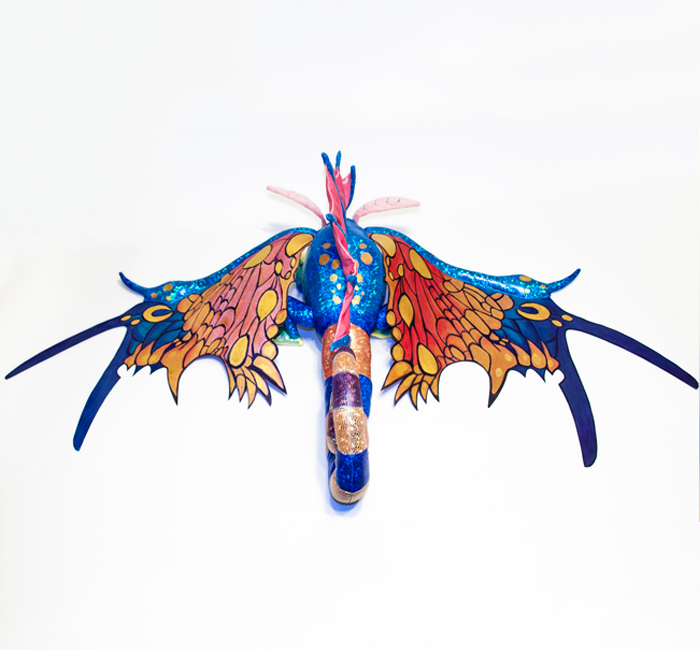 The wing membranes are incredibly large (creating a nearly 5 foot wingspan) and meticulous: made with Heat 'n Bond Ultra to fuse two pieces of satin together, and then fray-checked along the edges on each side of the wing for add additional fray protection. 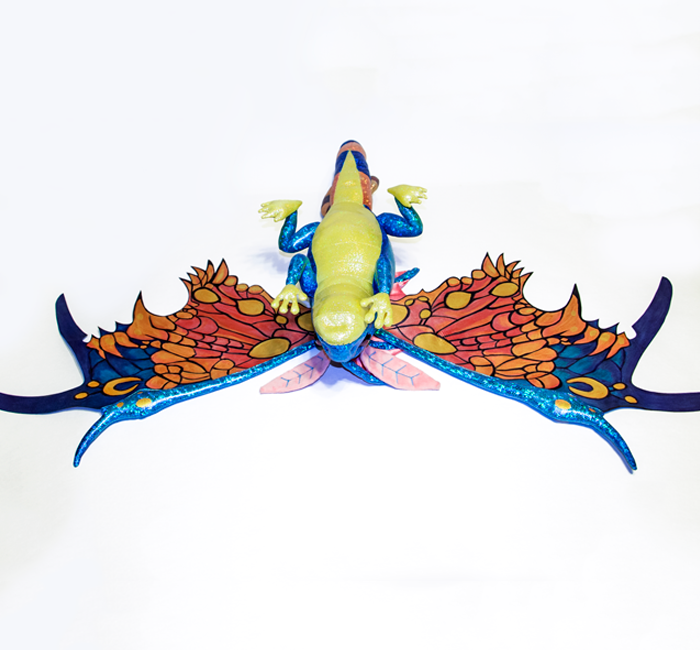 The wing pattern is entirely hand painted with fabric paint on both the top and bottom of each wing. 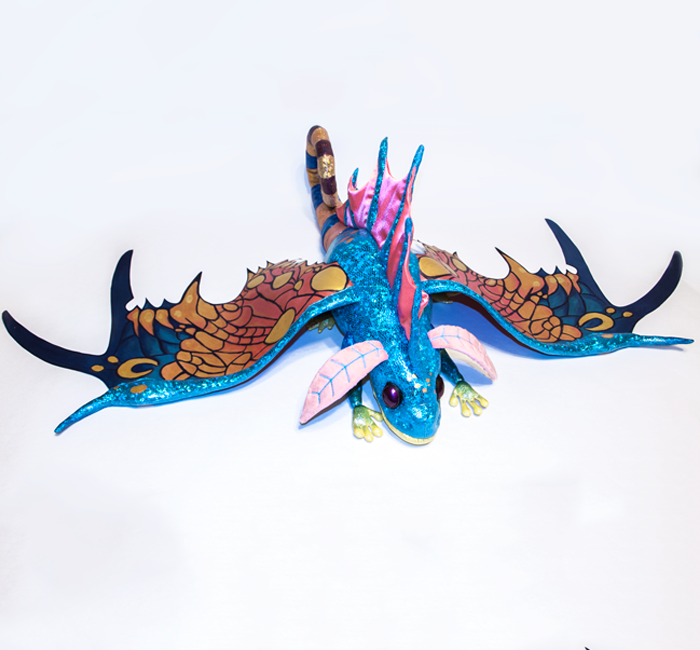 The fluffy feather ears are made from Minky, with turquoise embroidery for the veins, and several layers of interfacing to hold the shape stiff while still being very soft. 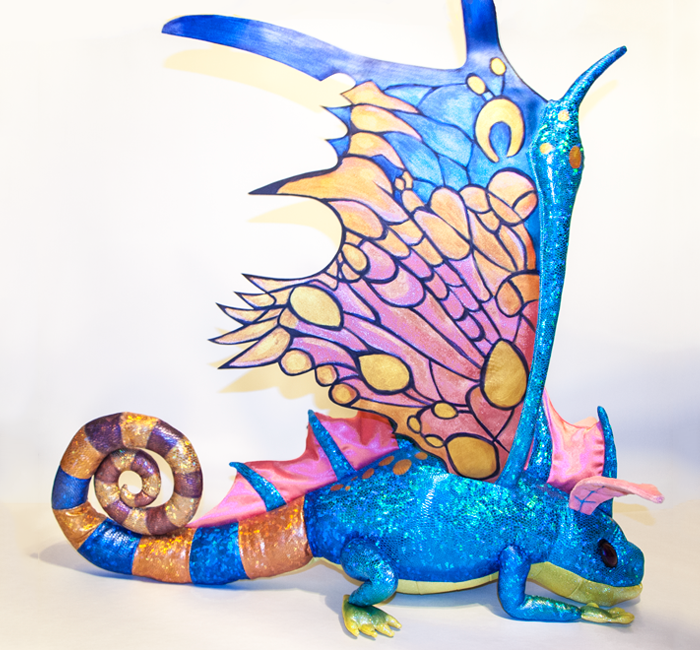 The eyes are hand sculpted from polymer clay, painted with metalic purple paint, and sealed for shine and protection with polycrylic clear coat. This plushie was requested to be floppy and cuddly, so there is no wire armature, it is stuffed only with high quality polyester fiber-fil. 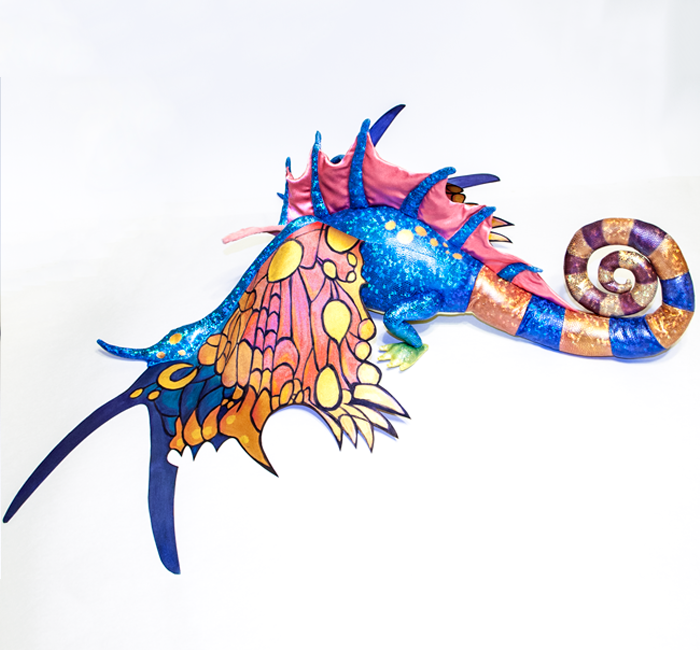 Aside from being very large, this is an incredibly time consuming plushie to make (mostly due to hand painting the wings), so thanks for understanding why it is priced as it is! 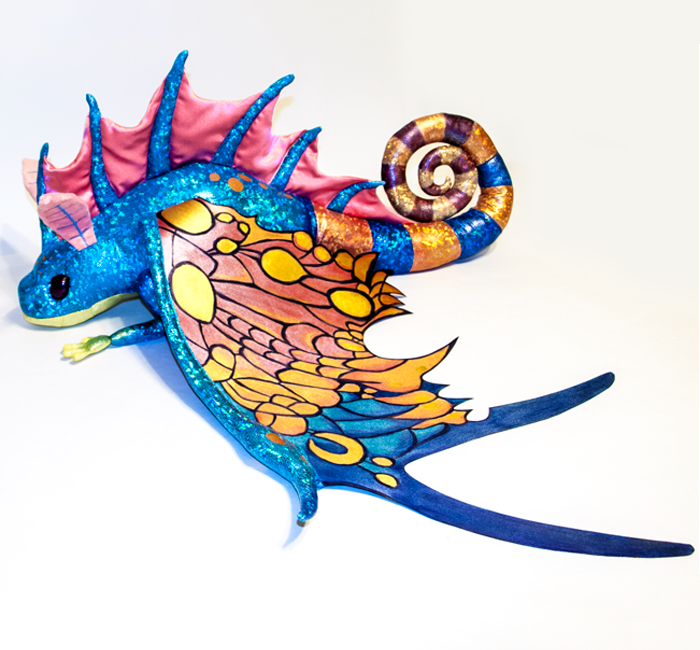 Note: If you are interested in a much smaller, much less expensive "Sprite Darter Hatchling", Blizzard now sells one in their official merch store. 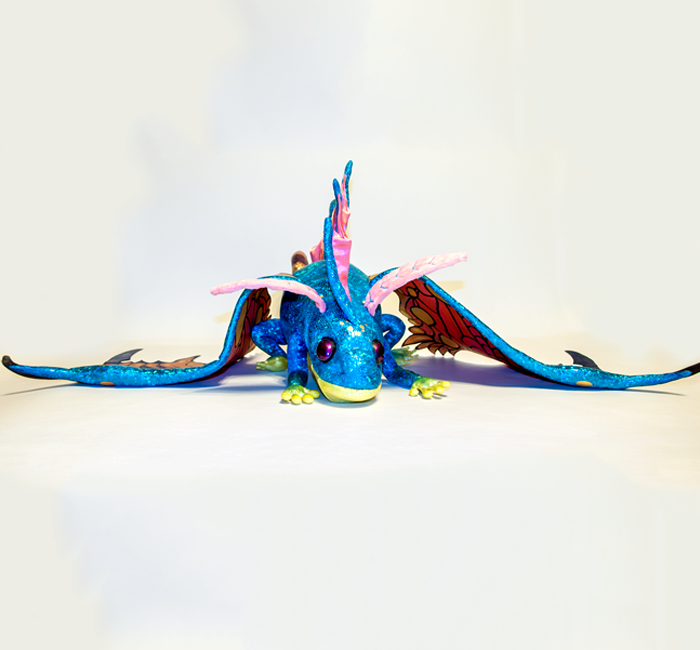 :) I am not affiliated with Blizzard (aside from being a huge fan of their games) and am in no way trying to compete with their mass produced version, and made this sprite darter plushie before they made theirs.